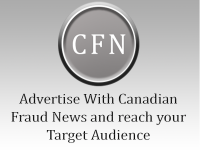 March 15, 2018 (courtesy of The Canadian Press) – A 49-year-old Burlington man is facing fraud and money laundering charges on allegations he promised Syrian refugees living in Qatar he could get them sponsorship in Canada. Halton police fraud detectives have been investigating for three months after a Toronto community group heard complaints from victims’ relatives already living in Canada. Police say they found eight victim families who had sent funds to the man totaling more than $200,000. They say he told refugees that he could bring them to Canada through a local church. The church doesn’t have anything to do with the fraud. Police believe there are more victims and are hoping to spread the word through a volunteer in Qatar and through refugee networks in Canada. Police searched the man’s house and arrested him, charging him with eight counts of fraud over $5,000 and money laundering. Police ask anyone with information to get in touch with Halton police fraud detectives.